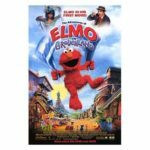 Elmo has lost his favorite blue blanket and there’s only one way to help! Hop on over to the old leather couch for a journey into Grouchland with all of your favorite muppets. In Seen It, we discuss cages of birds, fateful hands and a man named Conan in perpetual motion. 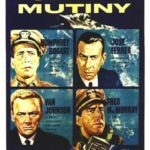 Today we set sail for high seas intrigue with Humphrey Bogart and the rest of the crew of the Caine. Mutiny! Betrayal! Strawberries! This movie has it all. In Seen It, we discuss wondrous boys, new leaves and a ghostly story. 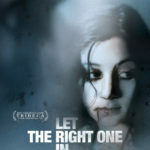 The Halloween season begins in the basement and we have an insatiable hunger to watch this Swedish vampire classic. You, viewer, are the right one and we are letting you in. In Seen It, we tackle the filmography of Tim Burton, including nightmares, batmen and hands made of scissors. Hang onto your heartstrings, because those suckers are about to be tugged. 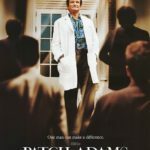 Robin Williams is about to infect the basement with heart and hilarity as we watch Patch Adams. In Seen It, the theme is Craig Hasn’t Seen It, but then Craig turns the tables! Step off the Streamliner train and pay a visit to the tensest town in America. 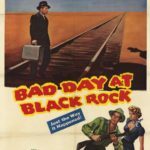 Spencer Tracy attempts to solve a mystery, and the entire town of Black Rock tries to stop him. In Seen It we talk crime: casinos, con men, indestructible assassins and rope. Stallone! Getty! 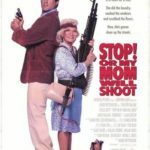 He’s a cop, she’s his mom and when they get together…hilarity ensues! 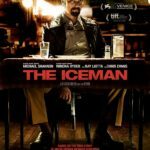 Stop on over to the old leather couch for this action comedy movie. In Seen It, the theme is cops: cops in LA, cops in Japan and a pair by Pacino.